It looks like Eurodollar is about to complete its correction. 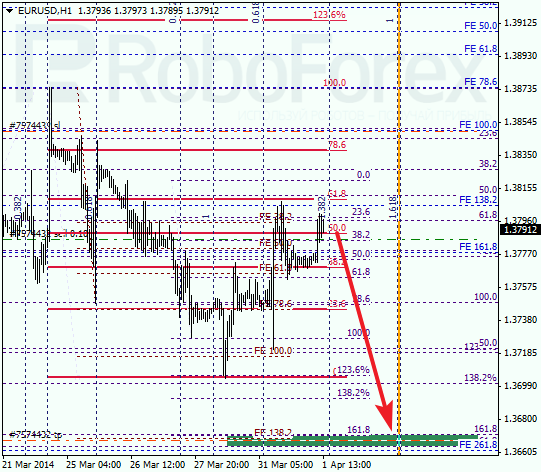 I’m keeping my sell order with target near the group of lower fibo levels at 1.3665. As we can see at H1 chart, pair rebounded from local correctional level of 61.8%. Possibly, pair may try to test this level once again during the day. If it rebounds from this level, bears may start new descending movement and even break minimum. 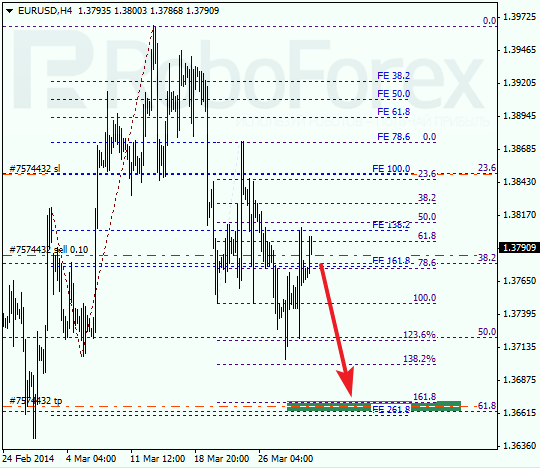 According to analysis of temporary fibo-zones, predicted target levels may be reached by the middle of the week. I’m keeping my buy order so far. It looks like Franc is about to finish local correction and may start growing up towards new maximums. 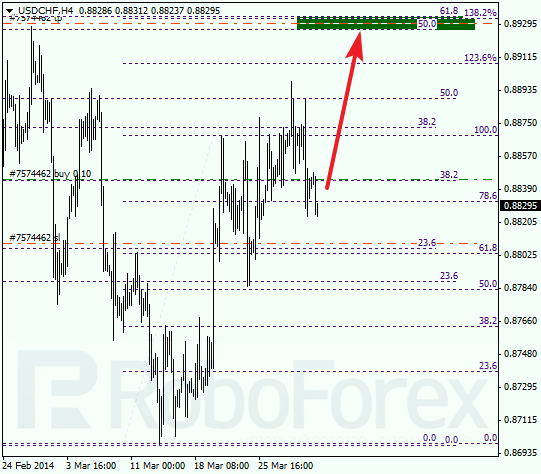 Most likely, pair will reach the group of upper fibo levels at 0.8930 in the nearest future. 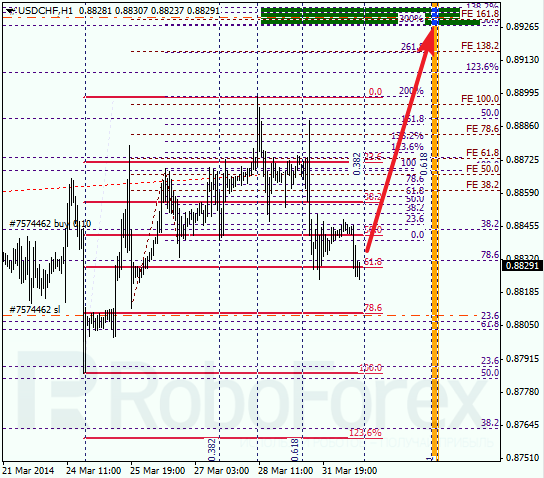 As we can see at H1 chart, pair is testing level of 61.8% again. If it rebounds from this level, I’ll increase my long position. According to analysis of temporary fibo-zones, the group of upper fibo levels may be reached on Wednesday.